Geoff Hunt's paintings occasionally become available from his studio, but we recommend that you consider commissioning your own painting. Art Marine has over ten years experience of working with Geoff - managing the process of commissioning marine paintings to the complete satisfaction of our clients. 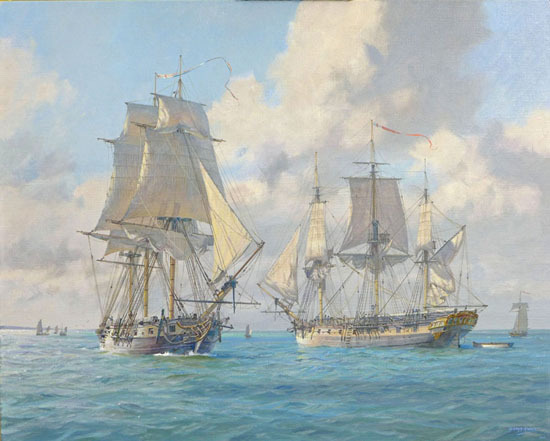 In addition to being the UK publisher of Geoff Hunt's prints of square-riggers and historical marine subjects, Art Marine is also commissioning agent.